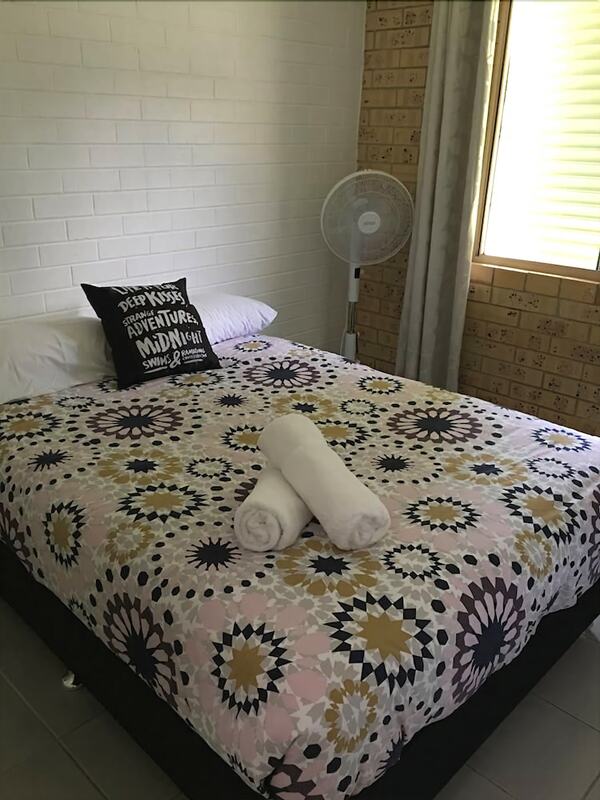 With a stay at 17 North Street Budget Accommodation in Caloundra, you'll be a 3-minute drive from Bulcock Beach and 6 minutes from Kings Beach. This hotel is 7.4 mi (11.9 km) from Kawana Beach and 11 mi (17.7 km) from Mooloolaba Beach. Make yourself at home in one of the 20 guestrooms featuring refrigerators and microwaves. Prepare your meals in the shared/communal kitchen. Complimentary wireless Internet access is available to keep you connected. Bathrooms have showers and complimentary toiletries. Take in the views from a terrace and a garden and make use of amenities such as complimentary wireless Internet access. Additional amenities at this hotel include a television in a common area, tour/ticket assistance, and barbecue grills. Cooked-to-order breakfasts are served on weekdays from 7 AM to 9 AM and on weekends from 7 AM to 9 AM for a fee.